The State Department said Trump would announce a nominee for the position "soon"
Heather Nauert, picked by President Donald Trump to be the next U.S. ambassador to the United Nations but never officially nominated, has withdrawn from consideration, the State Department said. Nauert, a State Department spokeswoman, said in a department statement that "the past two months have been grueling for my family and therefore it is in the best interest of my family that I withdraw my name from consideration." Nauert's impending nomination had been considered a tough sell in the Senate, where she would have faced tough questions about her relative lack of foreign policy experience, according to congressional aides. The aide said some involved in the vetting process saw Nauert's inexperience and questions about her ability to represent the U.S. at the U.N. as a larger issue. Trump's initial U.N. ambassador, Nikki Haley, served for nearly all of the administration's first two years. She announced her resignation in October with plans to step down by year's end. That December, Trump said he would nominate Nauert, called her "very talented, very smart, very quick" and said he thought she would be "respected by all." In the wake of November elections that strengthened Republican control of the Senate, her confirmation appeared likely if not easy. Yet Trump never put Nauert's name forward with the Senate and no confirmation hearing was scheduled. The State Department in its statement that Trump would announce a nominee for the U.N position "soon." 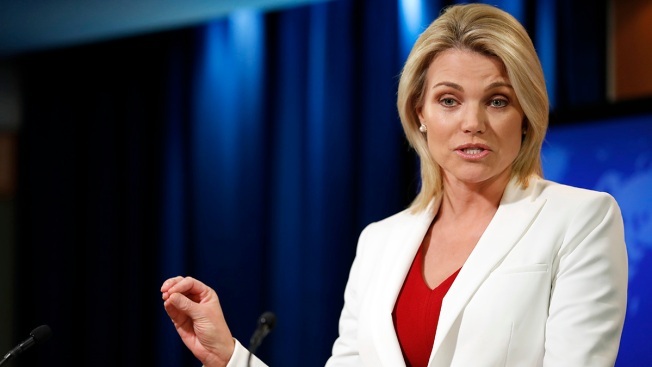 Nauert was a Fox News Channel reporter when she joined the State Department as spokeswoman almost two years ago during Rex Tillerson's tenure was secretary of state. She rose to the upper echelons of the department's hierarchy after Trump fired Tillerson in March 2018 and Mike Pompeo replaced him. In the department's statement, Pompeo said he respected Nauert's decision on the U.N. job and that she performed her duties as a senior member of his team "with unequalled excellence." "Serving in the Administration for the past two years has been one of the highest honors of my life and I will always be grateful to the President, the Secretary, and my colleagues at the State Department for their support," Nauert said in the statement provided by the department. Before coming to the State Department, Nauert was a breaking news anchor on Trump's favorite television show, "Fox & Friends." With a master's degree from Columbia University's Graduate School of Journalism, she had moved to Fox from ABC News, where she was a general assignment reporter.